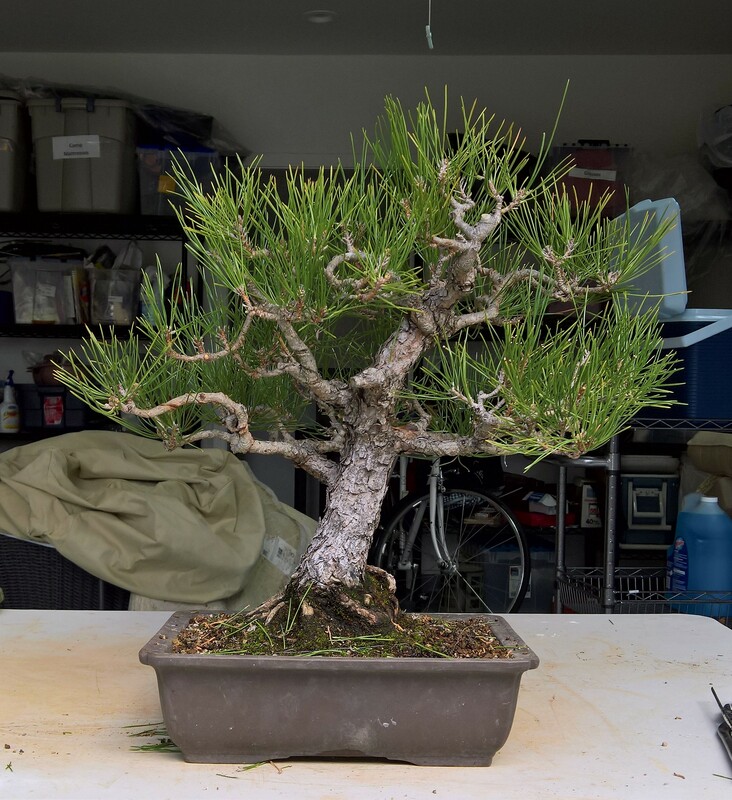 Here is late January I needed to re-pot a client black pine. The original pot was just too tight so I was off to Japantown to get a new one. 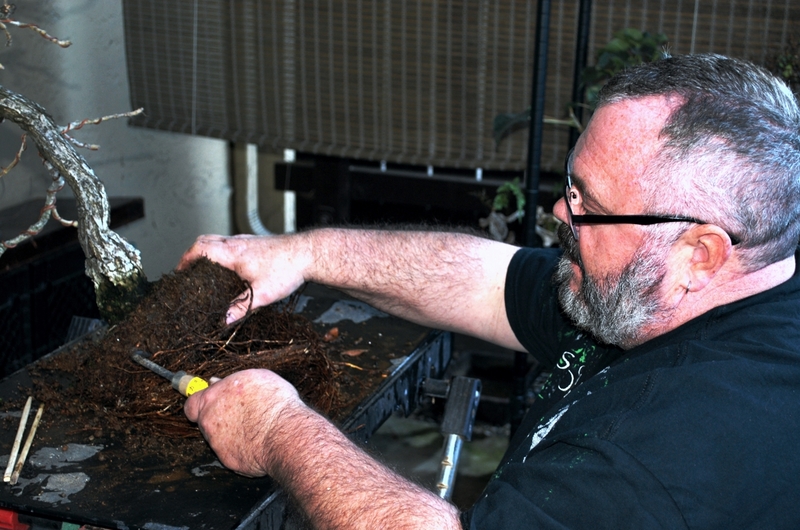 The idea was to create more room for finer roots and provide some more space in the pot. Although I would normally use a rectangle I opted for this oval. 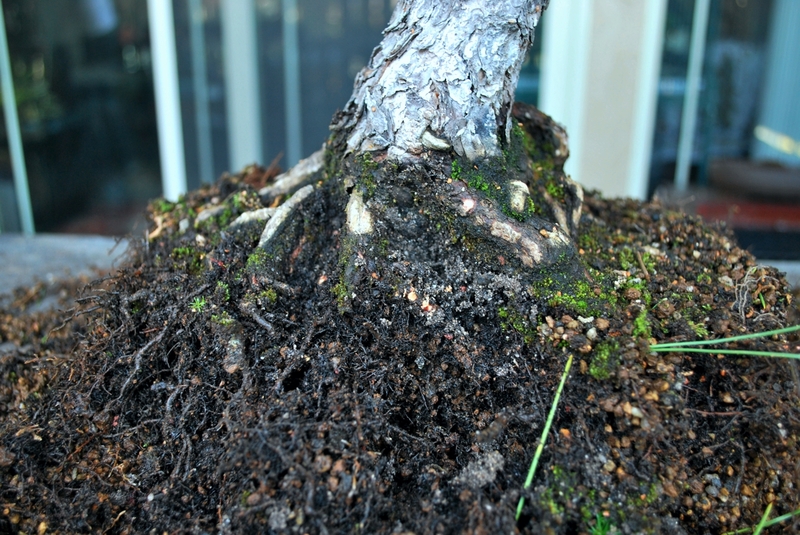 In the re-potting I found old river sand from the original soil mix near the trunk. I was able to remove that and create drainage areas for near the trunk. 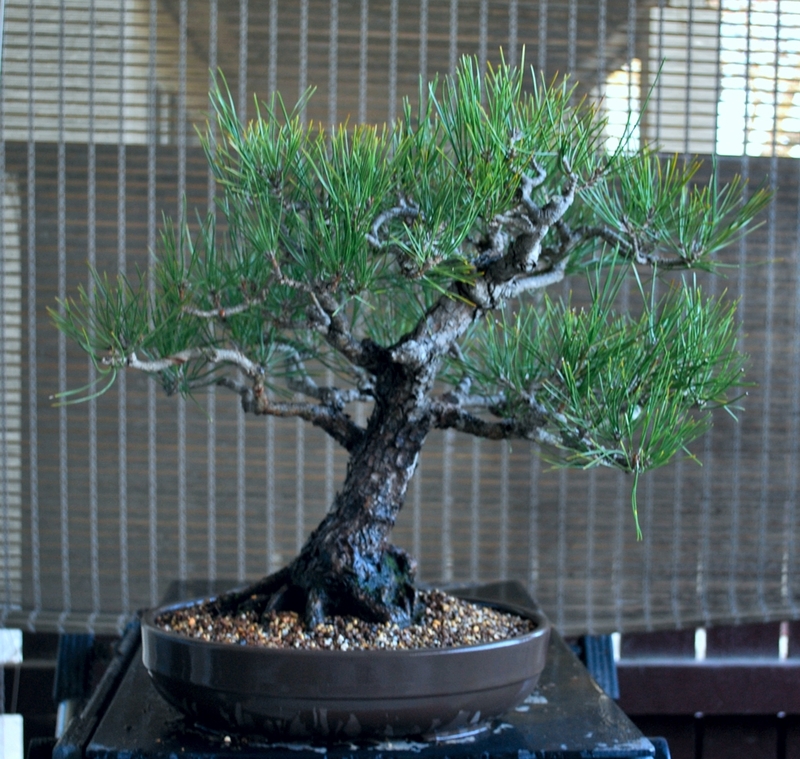 Client Tree: Black Pine. Weaker than it should be, it is scheduled to re-pot soon. 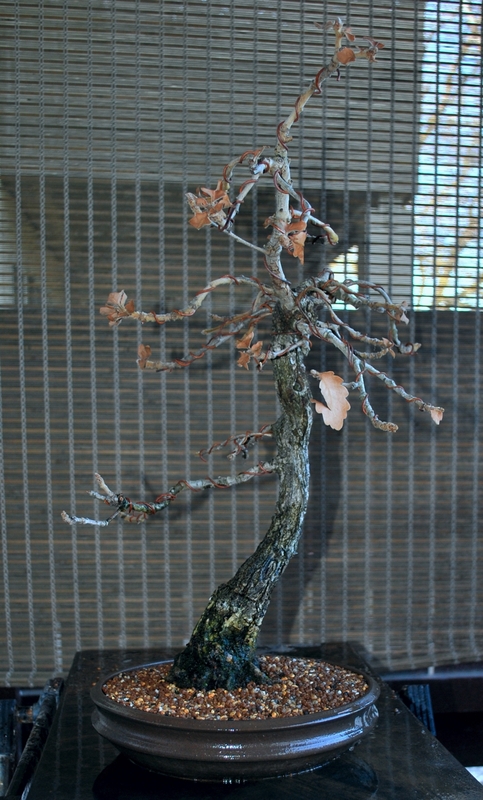 Also today, I took on the Daimyo Oak re-potting as the buds were beginning to set. 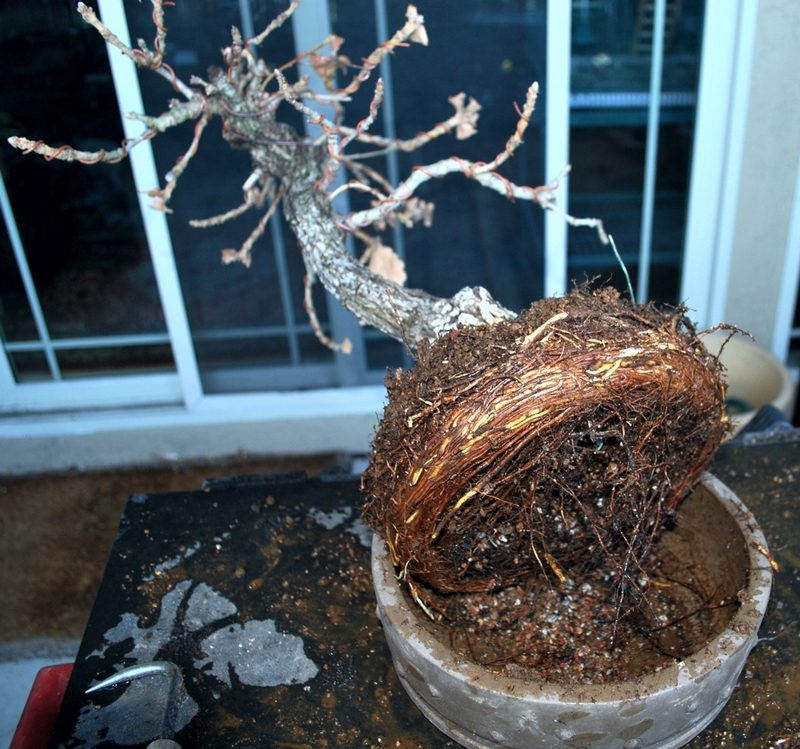 It had been it its original show pot for many years and I wanted decrease depth and increase the horizontal root area. The new Jim Gremel pot was a perfect choice. 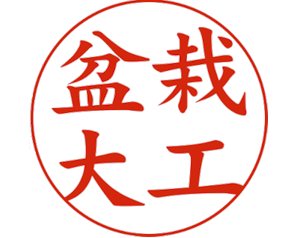 Daimyo Oak: I was surprised by the abundance and strength of the root development in 3 years. 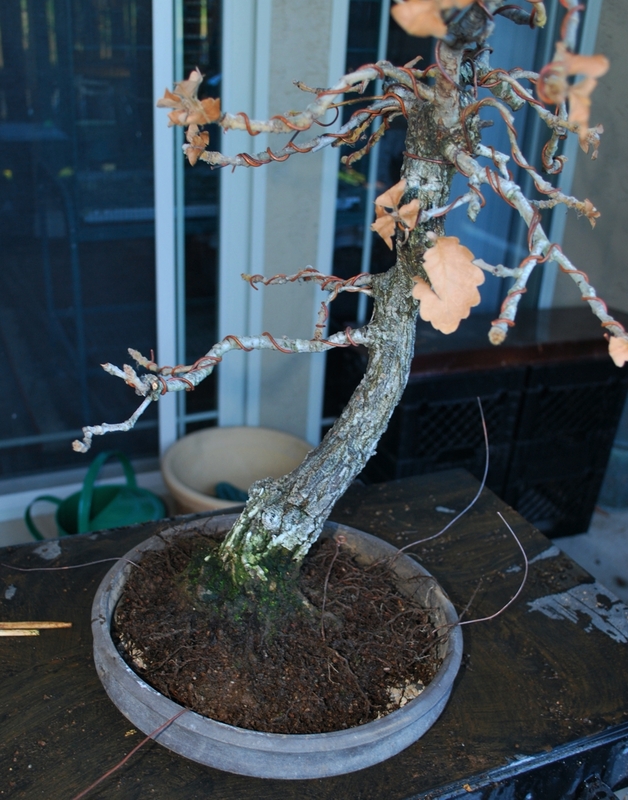 Daimyo Oak: Working on the vigorous root growth. Daimyo Oak: New Jim Gremel pot setting up nicely. Daimyo Oak: At home in its new Jim Gremel pot.